Wearing glasses is not for everyone and for those that only need to wear glasses for certain activities, like reading or going a movie, it may be especially irritating. If you are constantly asking yourself “Where are my glasses” LASIK surgery may be a consideration for you. LASIK, or “laser assisted in situ keratomileusis,” is an eye surgery to treat nearsightedness, farsightedness and astigmatism. 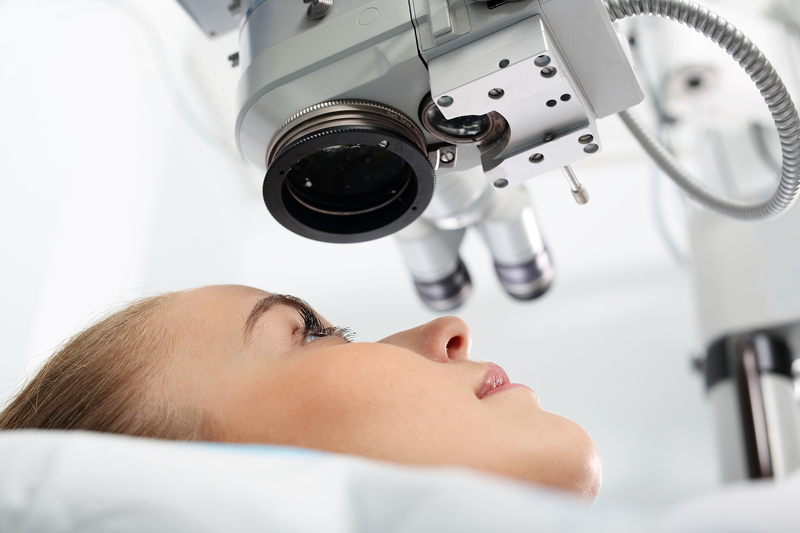 Before LASIK surgery your doctor will perform an eye exam to see if you are a good candidate for the procedure. There are many factors including corneal shape, pupil shape and overall eye health to determine if LASIK would be beneficial for you. Medical history, some medications, an unstable eye prescription and age are all taken into account when determining if you are a good candidate for the surgery. Just like any surgery a LASIK procedure does have risks to go along with the many benefits. Talk with your doctor about your risks for surgery to see if you are a good candidate for LASIK. Just as any surgery has risks it also has benefits. It is important to make sure that your benefits outweigh the risks of surgery and negative side effects you could expect. It is important to have an open dialogue with your doctor about your daily life, work needs, activities you enjoy and things you are planning to do to make sure that LASIK surgery is right for you. LASIK is an outpatient procedure but there is recovery time and you may have to make adjustments to work or home life while you're healing. Make a list of the questions that you would like to ask and bring them to your appointment and have a conversation with your doctor to see if you would benefit for LASIK surgery. After LASIK surgery most people experience 20/20 vision and overall the procedure has a high success rate but some will have less than 20/20 vision and still have vision correction needs. Depending on your vision needs you may still have to wear prescription glasses, reading glasses or even have a second surgery to further improve your vision. The doctors at Eye Group have would welcome the opportunity to visit with you to see if LASIK is an option for you. Contact us today to make an appointment and let us help you get a new look at life!